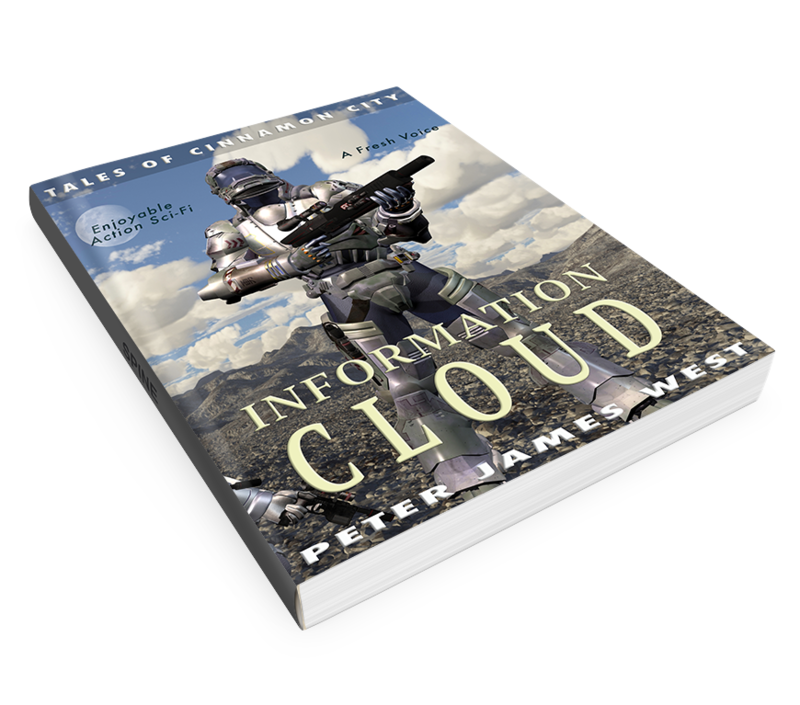 Peter James West official author blog: New Release: Jacob's War, Book 6 in Peter James West's Science Fiction Series "Tales of Cinnamon City"
New Release: Jacob's War, Book 6 in Peter James West's Science Fiction Series "Tales of Cinnamon City"
Tales of Cinnamon City is a Science Fiction and Fantasy Series set in the rich, deep world of Megarothia. 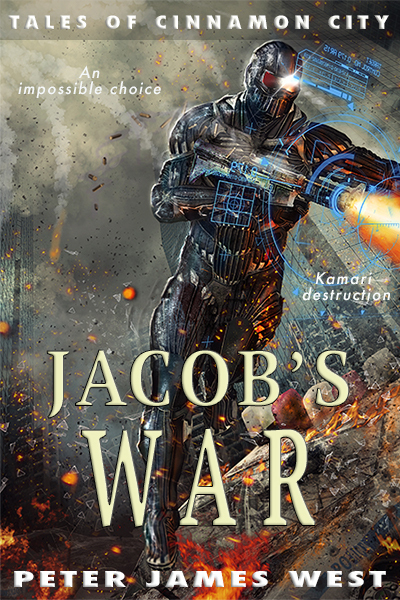 Jacob's War is the sixth novel in the series, mixing elements of military science fiction, epic fantasy, and hi-tech action. Lisa has changed beyond all recognition. She learns that her fate is deeply entwined with the history of the Iridium Wars. Jacob's assault is just getting started. His formidable army storms the towers, bringing chaos to a once peaceful city. The golden Behemoth stands guard while the Walkers pound the tower walls and the fighting continues within their walls. Rachel tries everything in her power to stop the Kamari war droid. There's just one thing she hasn't yet tried. If she fails, Central Command will fall forever. If she succeeds, her daughter will never forgive her. She's forced to make an impossible choice that will have life-long consequences for them all. Get your copy of Jacob's War now!